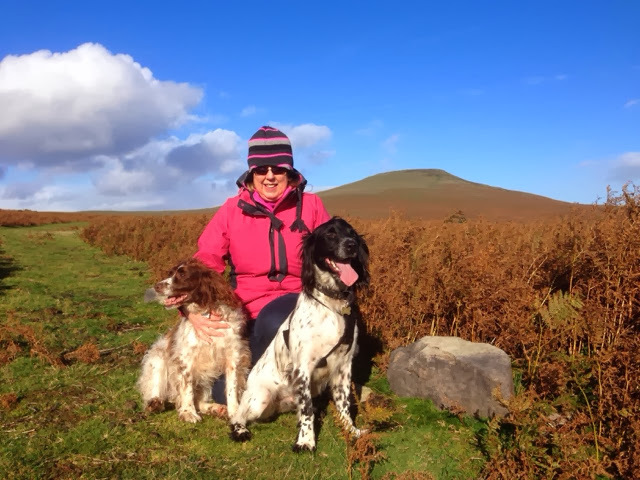 I'm Izzy and this is my blog 'Usk Chirps'! It's about life in the Usk Valley in Monmouthshire, one of the most beautiful parts of South Wales, where I was born and brought up and still live today. It's me 'chirping' about the things I observe and love to do in this fantastic place. Scenery, history, people, animals, nature, music, food, visits and anything else that takes my fancy. The motivation to start a blog came from my sharing more and more things on Facebook - photos taken on walks and visits, information, observations, accounts and recipes. Friends seemed to enjoy these posts and I started getting responses like 'l Iove your photos and the pictures you paint with words'; 'you should/ are you going to do a diary'; 'can I have the recipe for that'; 'how do I get to that walk it looks great'; 'the local pics of Usk and things you write about make me homesick please keep doing it' (from ex-pats); why don't you do a blog it would be a more permanent way of sharing things than Facebook'. Encouraged by these comments and loving writing like I do, I took the plunge to set up 'Usk Chirps'. I'll be 'chirping' about a whole variety of things on here, at what I hope will be fairly regular intervals. I hope you enjoy! I must say a massive thanks to Jez for suggesting routes for walks, for accompanying me and being a mine of information on all the wonderful places that we visit.